As I sat on the couch griping, my husband tossed me The Long-Winded Lady by Maeve Brennan (1917–1993), an old-time New Yorker writer of the kind they don’t make anymore. Or if they do, the New Yorker doesn’t publish them. I was surprised to catch glimpses of an answer to my question in Brennan’s short sketches of life in New York, the city she called “half-capsized (…) with the inhabitants hanging on, most of them still able to laugh as they cling to the island that is their life’s predicament.” Somehow her short profiles of the invisible, the fragile, the mean, the lost and the lonely — the seen-but-immediately-forgotten — lifted my mood. They are the types we run into on the subway or at the bodega, mostly bypassing them, the way we try to bypass our own opaque emotions. In Brennan’s work a broken heel, a sudden rainstorm, a collapsed stranger, provide a window into her complex inner and outer worlds. I admired Brennan because she dared to talk “too much” at a time when women had little say. (It’s no coincidence that she signed her Talk of the Town pieces with the nom de plume “The Long-Winded Lady.”) As a reporter she always appeared alone and often in the dark, in rain and snow. She went to bars and restaurants by herself to observe, inviting embarrassment, failure, and danger. She succeeded at a time when young women who would have liked — and had the ability — to become writers became receptionists and secretaries. I admired her also because, as an Irish immigrant, she had chosen New York as her New World. I immigrated from Germany 12 years ago and I learned the hard way that it is not easy to pursue your passion in a foreign country. (Not that it is easy anywhere.) But while exciting and inspiring, the New World holds cultural peculiarities that need to be acquired or, at the very least, tackled. Your accent always exposes you as an outsider, turning what you say into how you say it; it keeps you from becoming too comfortable. While glamorous at times, the New World reduces you, making you raw; to the other you are, and will always remain, a stranger. Even after 12 years, more often than not the first question I get when I meet someone is, “Where are you from?” In a sense, you are never allowed to settle. Restless, displaced and broke, Brennan spent much the second half of her life in hotels in Greenwich Village and Midtown. These hotels are often mentioned in her stories, but she never complains. Despite the obvious annoyances that come with her nomadic lifestyle, Brennan’s work transcends frustration. In “The Dark Elevator” she descends her hotel in an elevator with no light. Once she arrives in the lobby, she realizes she forgot to make a phone call upstairs, and the phone booth downstairs is occupied. In that moment of frustration, “the gray-haired lady” enters the building and Brennan observes the complications unfolding around her. “The gray-haired lady” fights with anyone she encounters. Brennan, on the other hand, appears to take the situation in stride. She is, after all, about to turn life’s latest caprice into a story. Someone started to climb the steps from the street, and I looked over my shoulder and saw a gray-haired lady of about seventy who lives here. She has a room without a bath and she is often in the hall. She has bad temper written all over her face, bad temper and arrogance, and her eyes look about her in a curiosity that is unkind and persistent. She is always fighting with somebody and she is always complaining. Twice I have heard her scolding the young clerk in the grocery store next door, and I have even seen her engage in argument with one of the tiny gypsy children who hang around the street. She looks as though she would like to reform somebody. It was clear, as she climbed the stairs, that the hot weather was hurting her. She was tired. She looked as though she had never seen a worse day. She wore a long-sleeved knitted sweater of beige silk and a brown tweed skirt. Her hair, as usual, was caught tightly in a net, and she carried her handbag and a small brown paper grocery bag. (…) She was all fortitude and dignity. Then she turned and walked a few steps to the elevator, and as she did so her bad temper and her arrogance and her bitterness all went overboard and I think she took nothing into that dark and smelly box with her except the courage she was born with. (…) I wonder what the gray-haired lady felt when she reached her room. Did she feel defeat, at her circumstances, or victory, because of her behavior in the face of her circumstances? I suppose all she felt was relief at finding herself safe home again. Snarky websites (ahem) have trained us to focus on easy targets, the obviously hilarious and the patently disgusting, and there’s nothing wrong with that. I too enjoy stories about giant rats and I love nicknames for vaginas (“cockpit”) and penises (“stuffed eelskin”). But I do miss the old New Yorker’s attention to subtleties, dialogues, drawn-out scenes. Stories about the nothingness of everyday life, the kind of writing Maeve Brennan, Joseph Mitchell (1908–1996) and John McNulty (1895–1956) excelled at. I wish there was more of it applied to our contemporary world. And I wish not every “serious” article or essay had to include an obvious lesson, look at the big picture and fit into a tight frame. I remember when I first started writing, after having escaped the tight knot of my dysfunctional family. Right after finishing high school I moved from my little Bavarian hometown to Hamburg. On his first of only two visits during my seven years in Hamburg, my father made it abundantly clear that he disapproved of me pursuing a career in writing. He would, at best, support a master’s in art history (my reluctant second choice). I figured an education in the humanities wouldn’t hurt. In my early 20s, I didn’t have much to write about anyway. My first, typewritten character sketches — which I entrusted to my mother, who subsequently lost them — were solid observations of the mundane, of subway rides and awkward attempts at dating by people who didn’t yet know who they were, but they were marred by my overwhelming disgust of the human race. I didn’t run from my negative emotions — I sought them out aggressively, indulged in them, and they were burying me alive. There was no silver lining, no irony, no light at the end of the tunnel. One problem was that German nonfiction offers almost no precedents for the kind of work I intuitively pursued. The only “German” writer who comes to mind when I think about literary big-city sketches is Joseph Roth, the Austrian-Jewish novelist and journalist whose superb essays are collected in What I Saw: Reports from Berlin, 1920–1933. But the book wasn’t published in Germany until 10 years after I moved to New York. When I began to write nonfiction, the “I” was virtually absent in German journalism, and I didn’t yet know about American literary journalism. Following my intuition, I fled to New York, where I heard that Anything was possible. In my early twenties I assumed that if you bumped your head in one place, you simply start over someplace with a higher ceiling. I had no plan, no guidance; I simply escaped a life I was sure I would not want to live. 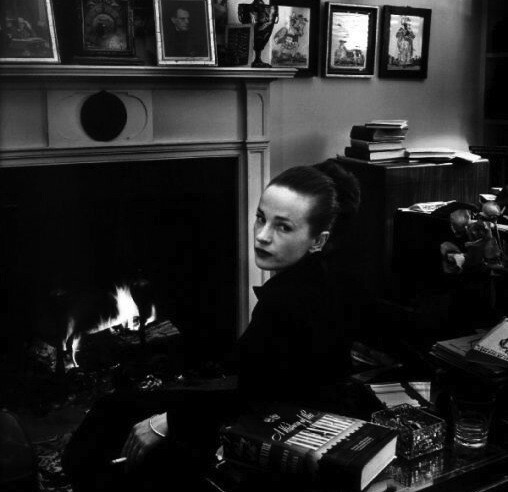 My early work (and life) would have benefitted from the example of a strong, female journalist like Maeve Brennan. I could have used a role model who became a journalist against all odds, someone whose work demonstrates that we do not have to eliminate the negative in order to create something positive. Brennan shows that writing can be a vehicle that takes writer (and reader) from the negative to the positive. “The Long-Winded Lady” confirms that it is virtually impossible to look at a negative situation extensively and not discover a speck of irony or a reason to strive for the better — even if sometimes the better is only an excellent piece of writing at end. Brennan let bad things happen without judgment — even though she always made herself a part of them. And out came something new, something crisp and shiny and alive, something cheerful almost. But there is something else about old-time New Yorker writers: Like Mitchell and McNulty, Brennan wasn’t afraid to idle and wander, to take detours and breaks. She was the ultimate flâneur: Known for her exquisite style and her quick wit, Brennan lived for the moment. She explored the city’s minutiae without urgency. In her stories she strolled, sauntered and idled, with self-awareness and detachment. As long as she was able to keep this balance — hold on to “the half-capsized ship” — she was all right. But like Roth, Brennan ended up a homeless alcoholic. At some point in her life she slept in a bathroom stall at the New Yorker, trying to nurse a sick pigeon back to health. By the time she died alone in an institution at the age of 76, she had been forgotten. To not falter and fall, the writer must overcome obstacles; she must enjoy idling (and writing, of course). But not to falter and fall, one must also have female writers as role models — and as cautionary tales. 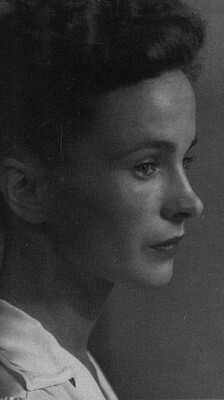 I am happier now that I have Maeve Brennan. And I’ll skip the second Cosmo tonight. A Pushcart Prize winner, Sabine Heinlein is the author of the narrative nonfiction book Among Murderers: Life After Prison (University of California Press, 2013).